This is a rectangular Automobile Club of Southern California porcelain sign. This particular Automobile Club of Southern California sign is predominantly white with a yellow border and navy text. 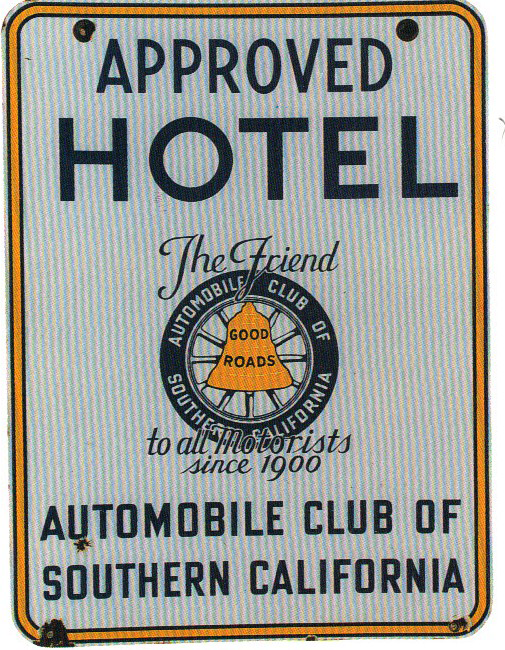 It reads, “Approved Hotel, Automobile Club of Southern California, The Friend to all Motorists since 1900” and features a navy tire design with a yellow bell in the center.